Having your central heating and air system serviced regularly is important, even for new systems. Keeping them in their highest working order will prevent costly repairs down the road, keep the system running efficiently, and make the system last longer. It is also important to have your older systems maintained to improve functionality and increase longevity. Have you scheduled your annual HVAC system maintenance yet? You might shrug off this task, but it’s more important than you think. Once you learn the ins and outs of annual HVAC system maintenance, you won’t put it off again. The purpose of preventative maintenance is to keep your HVAC system up and running all season long with no surprise breakdowns while operating at top efficiency. You rarely see your HVAC system face to face, so it’s easy to forget about it and neglect it. Imagine doing the same with your car. If you never have the oil changed or refuse to take your car in for any kind of tune-up until the check-engine light comes on, you can’t expect it to last more than a couple of years. What can you expect from your newly tuned-up HVAC system? Is the cost of maintenance really worth it? You should consider that some benefits of regular maintenance are immediate while others prevent future problems from developing. • Lower energy bills: You might assume that since the equipment is heating or cooling your home without any apparent problem that everything is fine. However, have you taken a look at your energy bills lately? A neglected system slowly loses its ability to keep your home comfortable at the same level of efficiency it once did. Just as a car tune-up delivers better gas mileage, your HVAC system consumes less fuel after receiving professional maintenance. • Fewer repairs: Do you hear a strange sound or notice an odd odor coming from your furnace? Calling for a tune-up right away could help catch problems before they become disastrous. For example, a fraying belt could result in strange operating noises. If a technician replaces it in time, you can avoid the expensive repair that results from a snapped belt whipping around inside. By preventing future repairs, annual maintenance pays for itself. • Lower chance of a catastrophic breakdown: Everyone wants an incident-free cooling and heating season. 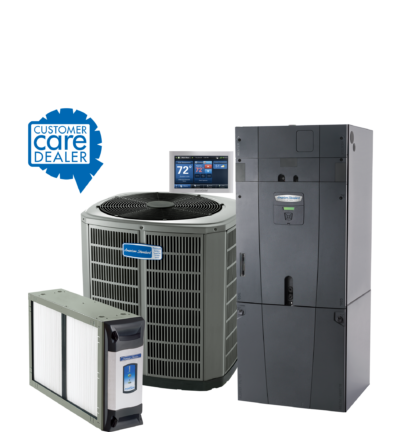 After all, it’s incredibly inconvenient and uncomfortable when equipment breaks down on a sweltering summer afternoon or cold winter night, right when you need your HVAC system most. The odds of this happening when you schedule inspections every year are greatly diminished. • Longer equipment life: Air conditioners, furnaces, and other HVAC equipment function best when they’re regularly serviced and cleaned. One malfunctioning part can cause a domino effect that causes the entire system to break down. Regular maintenance prevents this from happening and adds years to your equipment’s lifespan. • Change the HVAC air filter every month. Some units have an indicator light that tells you when the filter is beginning to become clogged and blocking airflow. • Remove debris from around the outdoor unit. • Hose down the outdoor unit when dirt begins to accumulate on it. • Trim back foliage to at least 18 inches from the outdoor unit. • Keep supply and return registers unblocked by drapes, rugs or furniture. • Check the thermostat: The tech makes sure the thermostat is calibrated correctly to ensure comfort in every season. If you don’t have a programmable thermostat installed, the technician may recommend one and install it for you on the spot. • Tighten electrical connections: Loose connections are dangerous and can cause improper operation that shortens the equipment’s lifespan. The technician also measures voltage and current on equipment motors. • Lubricate all moving parts: Lack of lubrication causes high amounts of friction in the system. This can cause it to overheat and break down. Adding lubrication helps parts move smoothly against one another, decreasing electricity use and lowering your energy bills. • Inspect the condensate drain: Cooling equipment and condensing furnaces produce condensate when they operate. Under normal conditions, the condensate collects in a pan and drains away to the outside. However, over time sludge or algae can form in the drain pipe and create a blockage. During times of high usage, the drain pan may overflow and cause water damage to the equipment or your home. A technician checks the condensate drain to make sure it’s draining properly and cleans it out if necessary. • Check system controls: The start cycle, operation, and shut-off sequence should occur in a particular fashion. The technician checks the controls to make sure everything is operating safely and properly. • Clean and adjust the blower: Issues with the blower can decrease equipment efficiency by up to 15 percent. Making adjustments ensures proper airflow and ample home comfort. • Clean the evaporator and condenser coils (cooling specific): Soiled coils slowly decrease efficiency and make the equipment run longer. Cleaning the coils annually is an important part of maintaining the A/C’s capacity, ensuring lower energy bills and prolonging equipment life. • Check refrigerant charge (cooling specific): If the air conditioner was charged too high at installation, you could be paying much more than necessary to cool your home. An undercharged system also can develop if the system has a leak. A technician checks for these circumstances repairs any leaks that are present and recharges the system if necessary. • Check fuel line connections (heating specific): Poor gas or oil connections are a fire hazard. They can also cause health problems if fumes are able to escape into your home. Tightening the connections ensures safe operation. • Inspect the gas pressure, burner combustion and heat exchanger (heating specific): Incorrect pressure, a dirty burner or a cracked heat exchanger can result in improper burner operation. These circumstances also can cause unsafe and inefficient operation. Adjusting the pressure and cleaning the burner are two viable options to improve operation and lower your heating bills, but if the heat exchanger is cracked, it’s likely you’ll need to purchase a new furnace. An important part of preventative maintenance is hiring a contractor with the right skills and experience for the job. Gulfshore Air is a licensed and insured HVAC Contractor located in Niceville, FL. 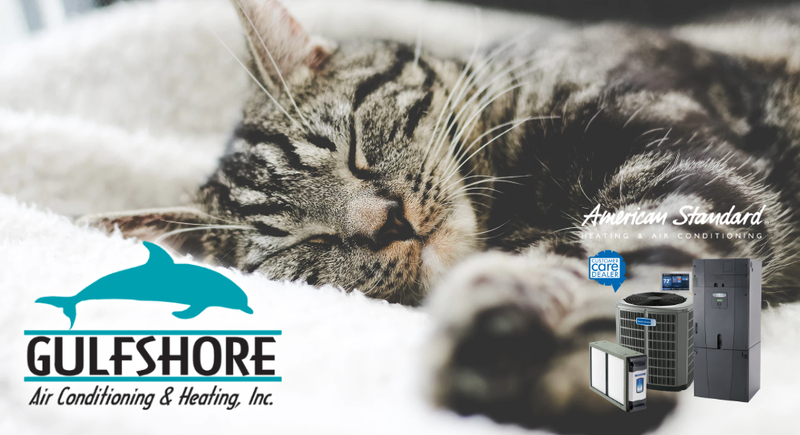 With over 150 combined experience in the HVAC industry, we can serve all your heating and cooling needs.